Six months ago I had never heard of Herculaneum. Everyone knows the story of Pompeii and it’s destruction during Mount Vesuvius eruption in 79 AD. 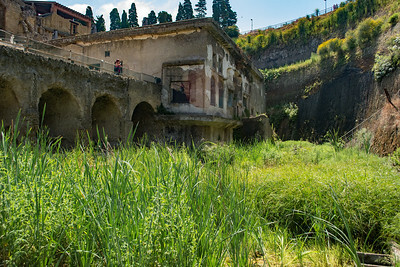 Herculaneum suffered the same fate but was not discovered until more recent times. When you first arrive at the site of the ruins you are at what is now “ground level”. You walk thru the large gates and across a bridge the crosses over the far edge of the city that remains. 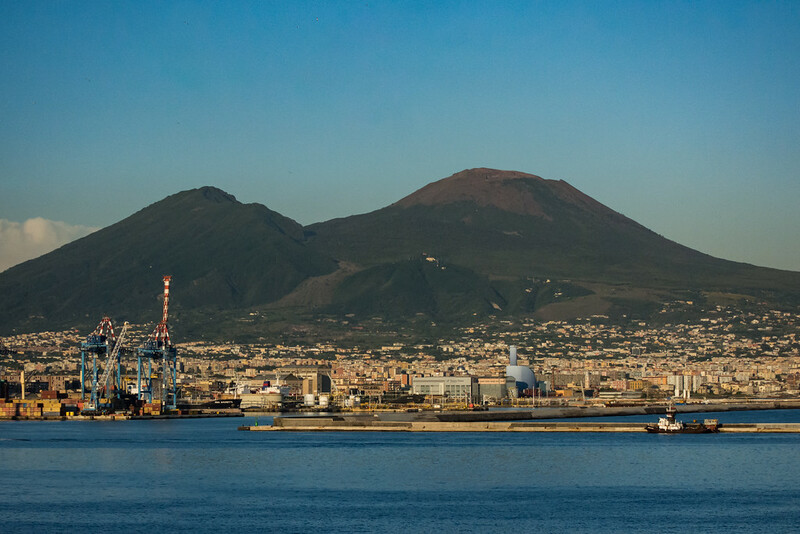 You are able to look out over what remains of the city, with Mount Vesuvius looming ominously behind you and the ocean straight ahead of you. From this vantage point, it is difficult to make out what you are actually seeing. Most of the rooftops are gone and all of the walls are a very similar color. The visitor center is quite small but there is a ticket counter, an information desk, restrooms and a couple vending machines. There was a man trying to get people to join his tour group for an additional fee. We opted to go to the desk inside the park where you can get a headset that explains everything you will see while visiting the city. 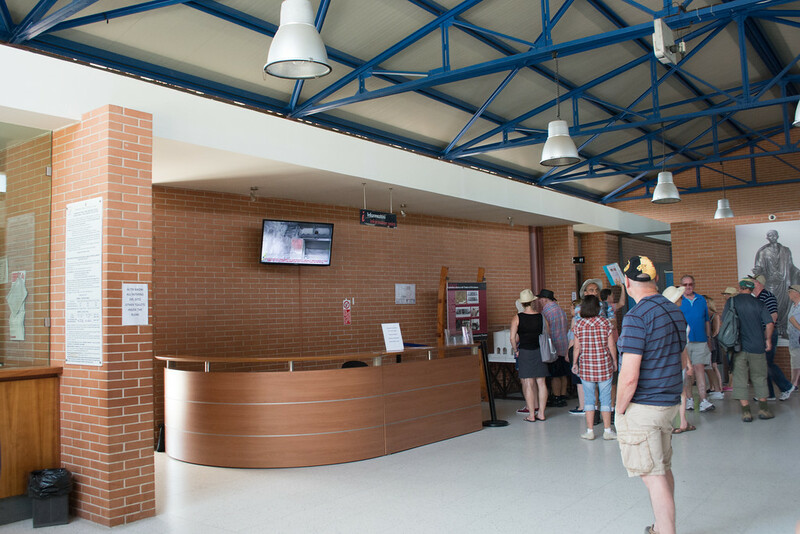 After purchasing your tickets you head out the other side of the building and go thru the turnstile. You will continue along the edge of the city and eventually will come to the headset rental booth, bookstore and more restrooms. 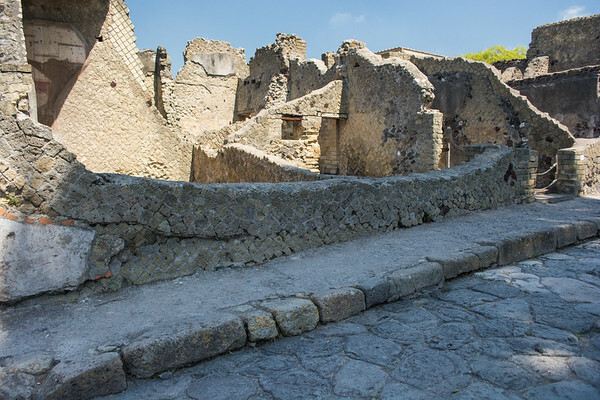 When you are ready to head into the city there is a large ramp/stairway that takes you down to Herculaneum “ground level”. Coming out of the stairway the first area that you come to are the Boat Houses. These were small structures right on the edge of town where 20-30 skeletons were discovered in 1982. It is believed that they were there in an attempt to vacate the city by boat or possibly hide away from the destruction happening around them. One thing that was made clear after studying them was that their death was quite sudden. The posture of the skeletal remains lead to the belief that they were killed instantly by a super hot cloud of ash and volcanic gas. 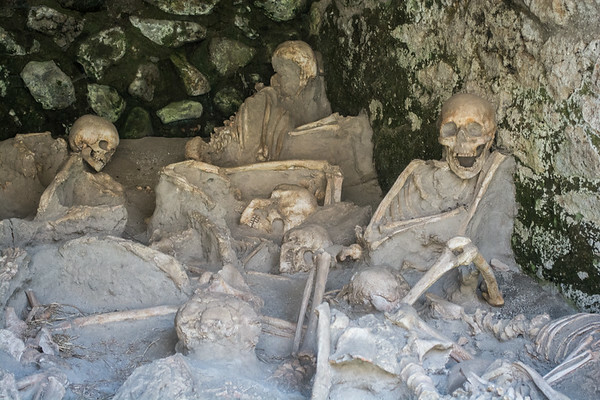 Other than these skeletons, very few other skeletons have been found. It is thought that they others may have all escaped, however it is also possible that they other were killed in the beginning stages of the eruption and their was just nothing left to be found of them. 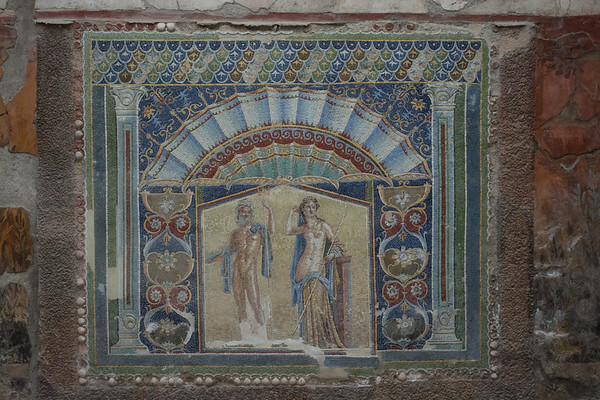 Throughout the ruins of Herculaneum, you will find artwork still on display with vibrant color still in place. This artwork was by far my favorite thing to see while walking around. To see the intricate tile work and the detailed marble work. If you time it just right you can see these pieces of art when there is not a huge group in the room and you can actually take some time to look at the intricacies of the designs. You can spend an entire day walking on the ancient cobblestone streets and passing partial walls that are still standing. 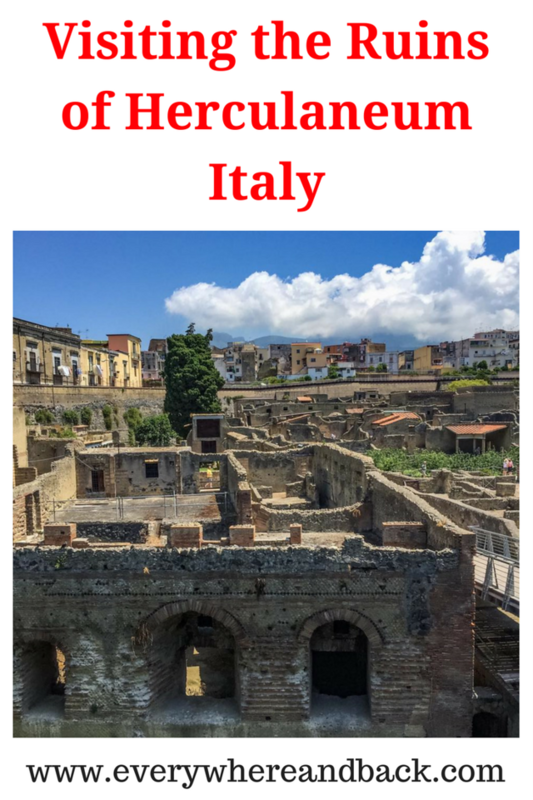 Don’t miss out on seeing the large columns on the northwest edge of Herculaneum, the bath houses not far from the boat houses and the ancient kitchen ruins. Such a lovely daytrip…so much history and so much tragedy in such a small area. Leaving Naples, Italy we started looking forward to the next day when we would be visiting Rome. LIKE THIS POST: PIN IT! 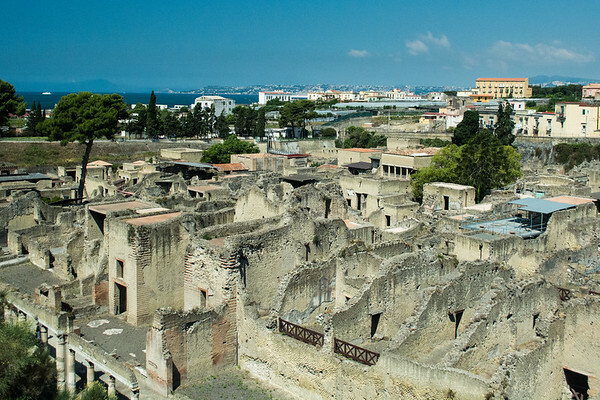 We chose Herculaneum over Pompeii for that exact reason. It was lesser known and we could walk around without fighting crowds of people. We had read about it before it visit in the late 90s but didn’t manage to visit during that trip. But seeing your report and especially the photos, we will make sure to get there next time. 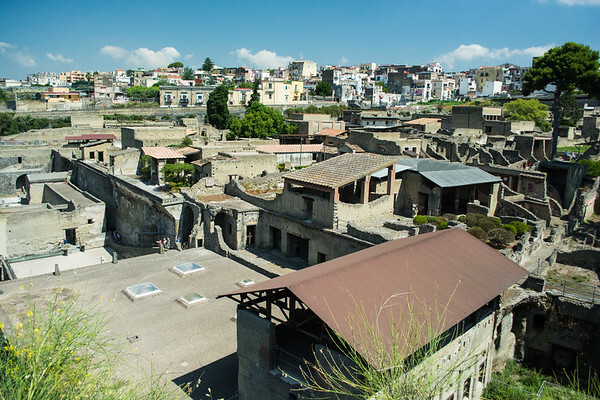 Herculaneum sounds rather mysterious and pretty interesting. I love exploring ruins and would love to visit this one! It looks like if would be a great setting for a murder mystery story. Those skulls are creepy. The only skeletons remaining are in the boathouses, so if it is something that someone didn’t want to see it is easy to skip by. No way never heard of it…although would have to go see Pompeii still! We love visiting these type of places, thanks for making us discover it! Next time we are there we will also check out Pompeii too! 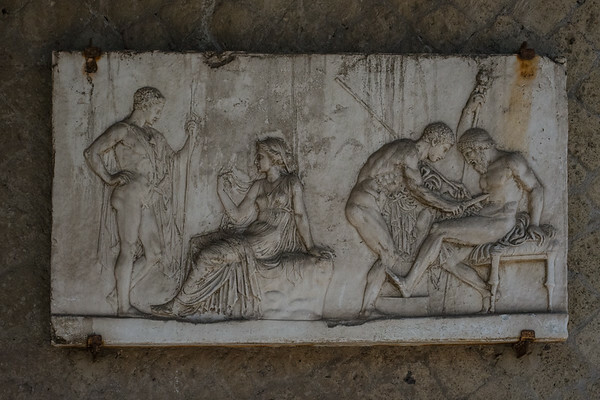 Thank you for the introduction to Herculaneum – I had never heard of it until your post! I think it’s great that we still have so much to discover in this world! Wandering through ruins is always so informative and gives us a link to the past. I feel this way all the time! I see places and I can’t believe that it is so often overlooked! To see it all, wouldn’t that be a lovely thing! I hadn’t heard of Herculaneum either, just Pompeii. It reminds me of Ostia Antica, outside of Rome. But Ostia Antica didn’t end as suddenly or tragically. 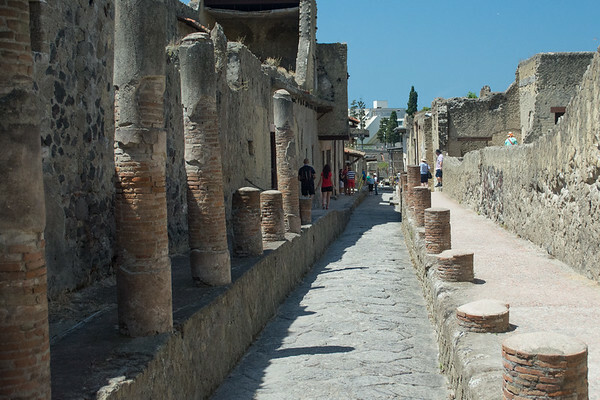 It was fascinating to walk around the ancient city ruins, though, just as it sounds like it was for Herculaneum. Great article! Such an amazing site to visit with a great history behind it. Although I have been to Italy a couple of times I have missed it. I will combine it with a visit to Pompeii. That would be an interesting day, to go between the two ruins and see the end results of two cities lost in the same eruption. I travel to Italy 2 or 3 times a year since my husband is Italian, and also been to many different parts of the country. 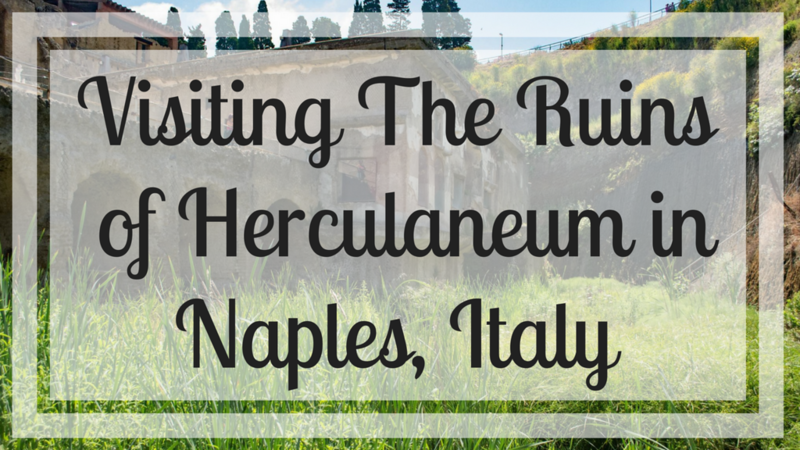 I have never heard of Herculaneum before, but after this post I would like to visit it. That is fantastic that you get to head over there a few times a year. 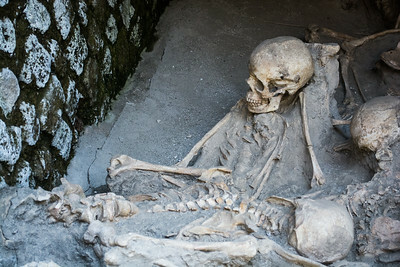 Hopefully you get to see Herculaneum n an upcoming trip! Wow I have never actually heard of this place until now. Adding it to the never-ending bucket list! Im right there with you. For every new place I check off, I end up adding a few more! C’est la vie! Ghostly beauty. I’d never heard of Herculaneum. That boathouse full of skeletons is chilling. Amazing how well preserved the rest of the city is.